There was a time in my life when I decided I wasn’t ever going to get married. Much of what I’d seen in marriages, my parent’s marriage included, was just people who wanted to kill themselves but had to stay together because of the children. Always because of the children. Always together, forever apart. Everybody ended up suffering for it, the children more than the parents. I am a product of this. So I thought, why put myself through hell? I’d adopt a child and live my life as a single, successful, happy woman. Somehow, ONLY by God’s grace, my siblings and I were able to develop and nurture a loving, sacrificial relationship. This is the first time I had ever known and experienced true love. This is the first time I realised that love really did exist. As ‘good’ children, we had to obey our parents so we did what they said, went wherever they took us and tried our best to do what was expected of us as Godly children even though we didn’t know who God was and had never really been introduced to Him. We were just told that if we lost our virginity, we’d be beaten or kicked out or something akin to that. If we did something bad, fire and brimstone from God would rain on us. God didn’t like sinners and liars. God was an angry God and all of that. But we weren’t really taught anything about Him. So, we were dragged around different places of worship looking for where the pastor n’afu anya (sees) or where they have a very active deliverance ministry or where demons that were cast out last Sunday will be cast out this Sunday again or where the prosperity gospel is preached or where they shake violently while praying or where the pastor can tell you that your spouse, your mother and all your children are part of a grand plot to kill you by taking you apart piece by piece. Eventually, one got to the age of responsibility where it wasn’t just about your parents anymore but about you, your choices, beliefs, value system and way of life. I had to decide how I wanted my life to be and where I wanted it to go. We finally found our way to The Latter Rain Assembly. We stayed because it was the closest to our house and we could walk to church. The car wasn’t always reliable. I was just a few years away from being a teenager then so I was in the Children’s Church. I didn’t get to sit in the big church with the adults until I was a teen but I can’t tell you that I understood most of what was going on or that I caught what Pastor Tunde Bakare was preaching. I just dutifully went to church services. And then. . . there was Young Pioneers! My goodness! Young Pioneers was the truth! From Pastor Bola Adejobi to Uncle Chike Maduegbuna to Ajasa and even Sis. Ify. I had a marvellously amazing time in YP. I met my husband in YP and it was there that I began to know God a little more. He seemed a little different from what I had known all my life but this was more appealing. So I made a conscious, personal commitment to God at Grandslam. I thought hey, I’ve been a Christian all my life, I might as well start being serious about it but more than that, it was the way Pastor Bakare showed us simply who God is and how He longed to have a relationship with us that moved me. God was chasing me all my life and I didn’t know but He didn’t give up. When I first met my Red, we were both teenagers scratching our way up in the world, trying to fight off our horrid realities and take hold of this God we’d heard so much of. He had had a much more rich experience with God and he shared it all with me. I think I got to know God’s love and Adams’s love around the same time. I grew in knowing God’s love and it was beautiful. The most beautiful love there is, I tell you. But you know how they say that you should live your life so that people can see Jesus in you? I have seen Jesus in Pastor Tunde Bakare. I had never ever known what a father’s love was or what it was supposed to be. 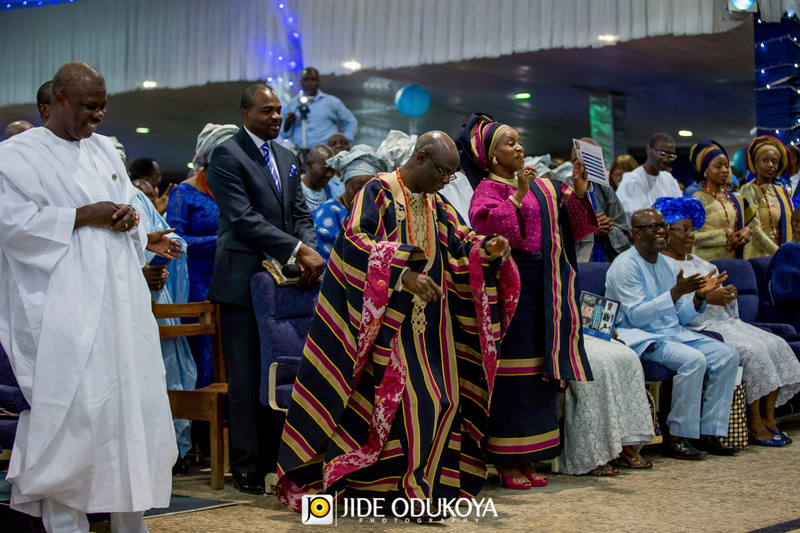 I’d never related to God as my father and never thought of it actually until I met Pastor Bakare. My goodness! No one told me a father’s love was supposed to be like this. No one told me a father was supposed to care for, provide and sacrifice for his children like this. No one told me a father was supposed to protect his children instead leaving them to the whims and caprices of this world; to be chewed up and spit out like garbage. It was all very new to me and almost hard to accept. Some Nigerians may relate to Pastor Tunde Bakare as a politician and most politicians are liars so they see him as that. Some relate to him as that fiery pastor who likes to run his mouth, yeah I see you twitter. Some relate to him as the man who didn’t want Nigeria to move forward by not accepting the merger between the 2 political parties. Some say he deserved his house getting burnt because he was/is sponsoring Boko Haram. Some say he should have stuck to the pulpit and not gone into politics. Some just run their mouth for lack of anything to think or say. 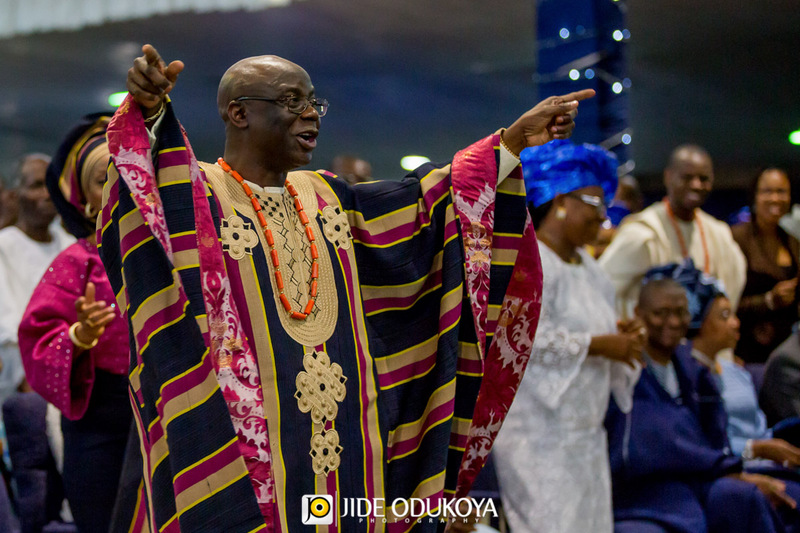 The truth about Pastor Tunde Bakare is this; he will never do anything outside of what God has told him to do and say, he lives his life to please God ALONE. He is a man of integrity, full of love and quick to forgive. I have never known him to lie or shrink from responsibility or not admit when he has been wrong. I have not known anyone like him and because I know he is living a life that aims to please God in all his dealings, I want to live like that too. His life points me to God everytime! On behalf of my husband and I, I’d like to wish you a blessed and delicious 61st birthday, sir. Peace to you, Peace to your house and peace to all that you have. 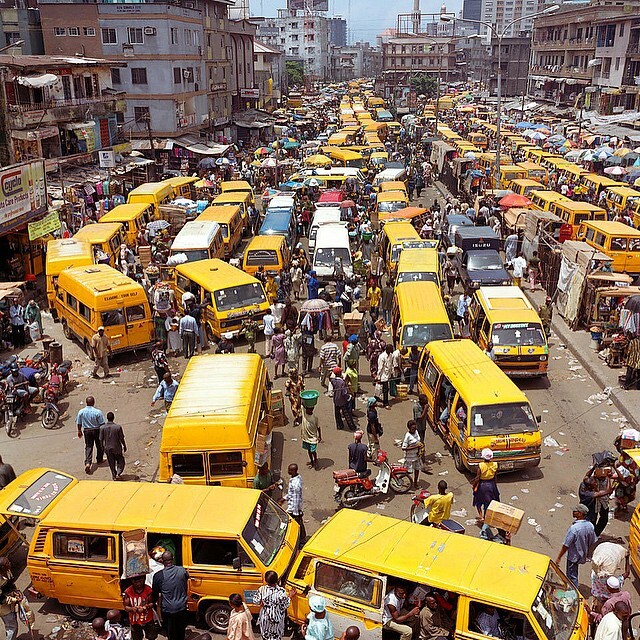 You will see the Nigeria of your dreams. Amen. Previous Post What makes people shout when they are angry? Eloquently put! Happy birthday to pastor T Baks! May God cause all to see the evidence of Him in you in your lifetime and long afterwards! Glad to read from you again, IJ. Can relate wth some of the things written here. 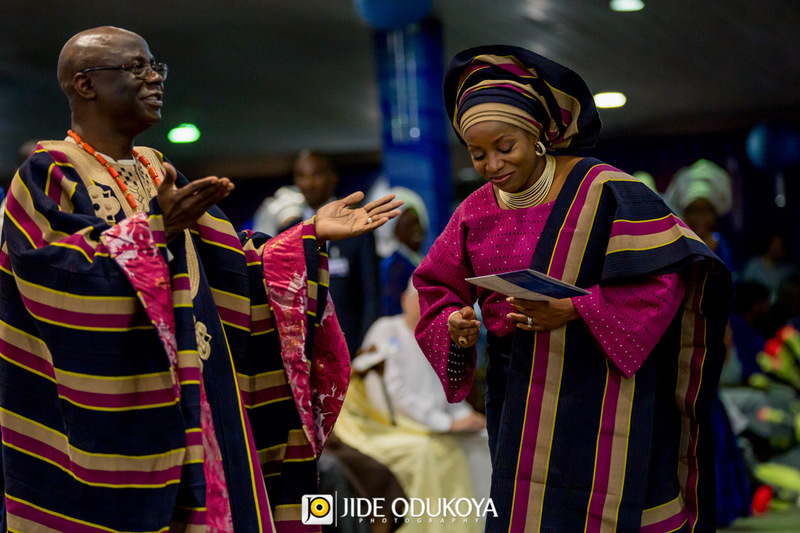 And I think it’s beautiful that you found fatherly love in Pastor Bakare. I still enjoy love from my biological and spiritual fathers. I join you in celebrating this true Man of God- Happy birthday sir. This is so beautiful, Aunty IJ! Happy birthday, Pastor Bakare. Mrs Red! Walai I thought you’d sold your blog… This is so real, your post, I almost feel like I know him just a bit better from just reading your post. Big happy birthday to him! Lol @ sold your blog. Don’t mind me oh, I’ve been unfaithful with the things that have been committed to my hands, may God forgive me. Errrrm, I trust our brother is not on the list of…. *falls into open gutter* Welcome back to blogging Boo! And you should join my #31Days31Writers Christmas series! I should? Wow. That would be an honour. . . And a challenge. Yes… you have a way with words that I really like… and I think your smiles would shine through your words and bless everyone reading. So yeah, I’m asking. Pretty please! It haf tay wey I enter this side! Happy birthday Pastor Bakare. I understand, believe me I do. I go repent. As usual, very well written Pearl..brings in the tears and rushing emotions. .love you my pastor till eternity and back..what our ears have heard about Nigeria, our eyes will see. Pearl, this was a heartwarming and expansive greeting to a man who has been used by God to make you the God-following woman you are today. 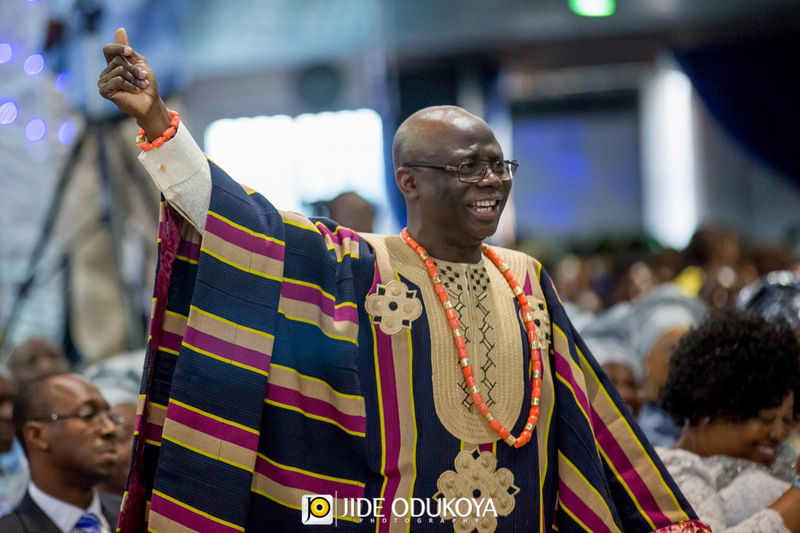 I can also agree that Pastor Tunde Bakare’s teachings played a big part in my spiritual awareness and development when I was a teenager, and I always loved his forthrightness. Here is wishing him the seven-fold Spirit in new dimensions and grace for the rest of the Race all the way to the finish line at his Master’s feet.